Proud winners at this years’ LV= GI Claims Partner Awards is AW Repair Group, just eight months after opening its first LV= Sole Supply site. Scooping the award for Best at Living LV= Values demonstrates the true partnership between the two entities committed to providing a seamless service for motor policy holders. The Best at Living LV= Value Award comes just a year after AW Repair Group won LV= GI Community Award at the 2018 ceremony. AW Repair Group have released a dynamic video celebrating their exclusive arrangement with Liverpool Victoria General Insurance (LV=GI). The group’s Derby location opened six months ago and repairs 35 vehicles a week solely for LV=GI customers at the dual branded site. The dual-branded purpose designed bodyshop has the latest technological advances including skate & rail vehicle transfer system, PPG refinishing system, 10m drive-through Junair booth with QAD drying technology and full downdraught eliminating cross contamination, allowing multiple vehicles and off-panels to be painted different colours simultaneously optimising efficiency. Since opening, the site has employed three multi-skilled apprentices to join seven more in the second intake for AW’s Training & Apprenticeship Academy. The academy now has 19 recruits across the group. The addition of the Derby LV= Solus site boosted AW Repair Group’s annualised turnover to £17m. 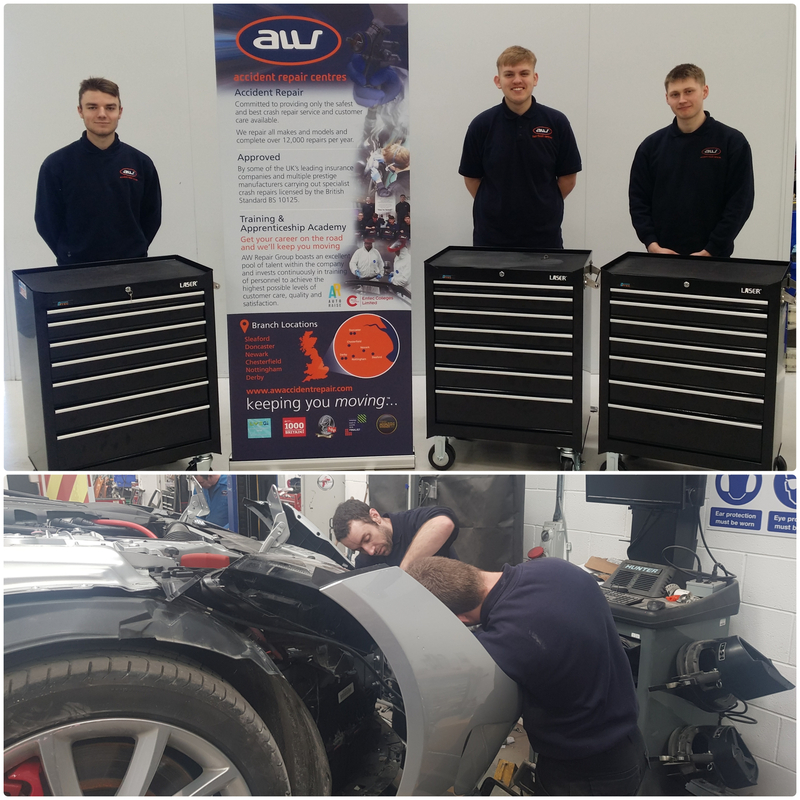 This week is National Apprenticeship Week and what better way to recognise our commitment to developing and investing in young talent than introducing you to the latest intake into our Training & Apprenticeship Academy and sharing what they have been up to since joining AW Repair Group. These ten students joined us in January, following the successful Showcase Event held at our purpose designed LV= solus site in Derby in November 2018. Their multiskilled college course is due to commence in two weeks at Emtec College, Nottingham. The year one apprentices have been partnered with a skilled technician mentor and have had a rounded view of the whole repair process ahead of attending college. 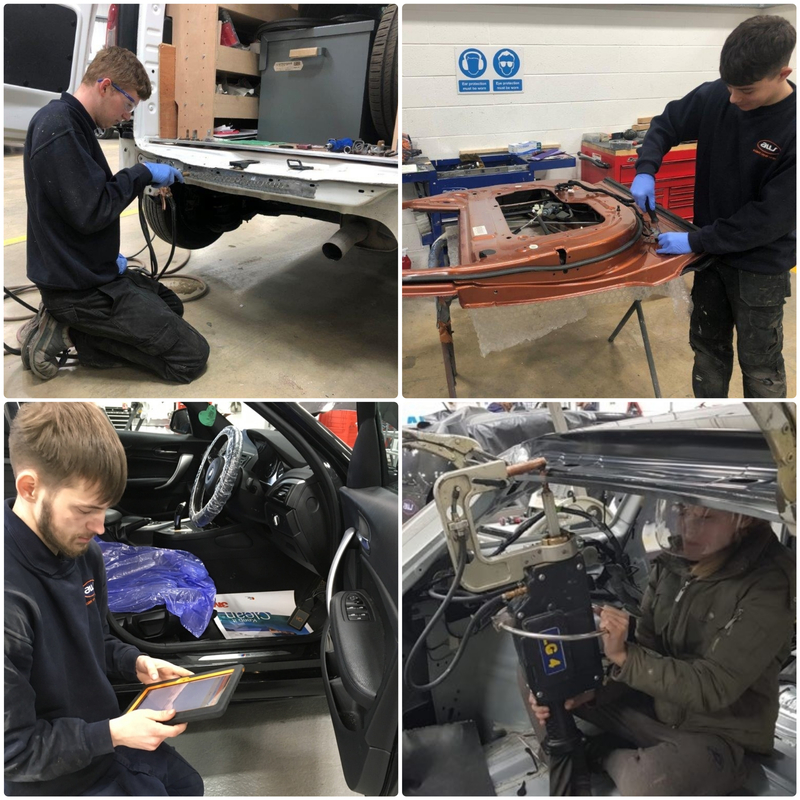 Each apprentice has been stripping cars ready for repair, removing items such as bumpers, interior trims, diagnostic sweep, wheel alignment and some light panel work. The youngest apprentice in this year’s intake is 17 year old Thomas and the oldest is 23 year old Jamie. We also have 19 year old Artur, whose native tongue is Polish and 21 year old female apprentice technician Summer. It’s an absolute pleasure speaking with our latest apprentices who are all grasping the opportunities before them and enjoying being part of the AW team. 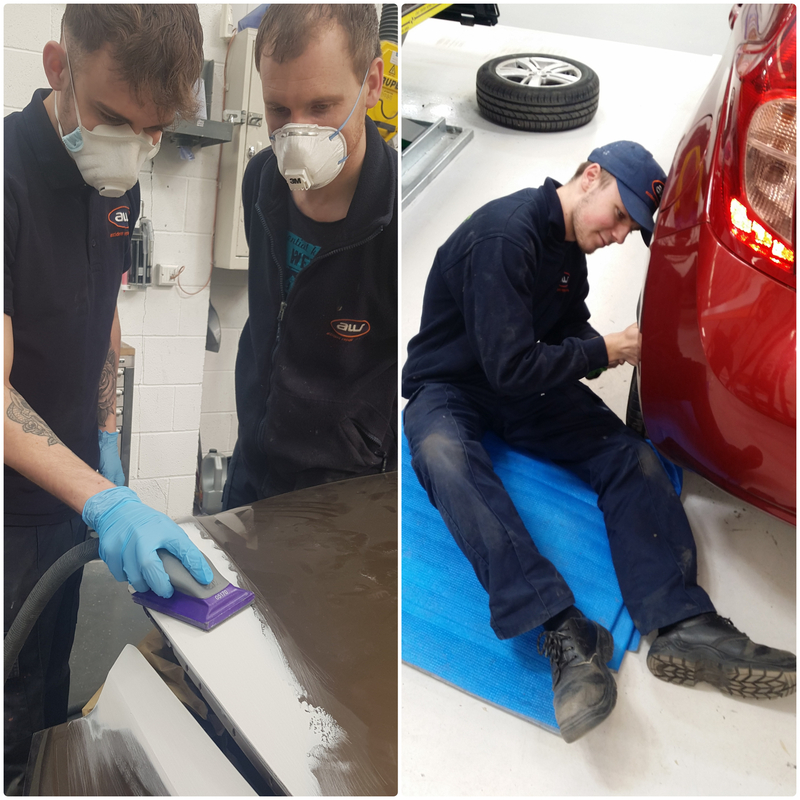 Our year two students are also becoming an integral part of the AW team carrying out moderate repairs independently such as doorskin and quarter panel replacement. All eight passed their year one with flying colours and and are looking forward to the next stage in their career development. AW Repair Group has made a new addition to its management team with the appointment of Ian Pearson as Group Operations Support Manager. Ian joined the crash repair industry as a multi skilled apprentice in 1979 and leaned towards his forte as a panel technician. He progressed into management in 1998 holding several assistant and general manager positions. He joined AW in 2007 as general manager of the Denaby South Yorkshire site and was later instrumental in setting up the Chesterfield site in 2014 which he has been running to date. Ian, whose alternative career option was to become a maths teacher, has now joined the operational team as Group Operations Support Manager where his love of figures and statistics, combined with his wealth of industry experience, puts him in an excellent position to analyse best practice across all departments. Ian’s position as General Manager at Markham Vale has been taken up by Johannes Hattingh who has been production manager since 2017 after joining the AW team three years earlier as an experienced prestige manufacturer trained MET technician. TEN new apprentices are now geared up ready to start their career with AW Repair Group. Following the success of AW’s Apprentice Showcase Event in November, ten eager youngsters who attended the event have now been appointed and started on their apprenticeship journey. The new recruits who, had been at their posts for just five days, recently gathered together to enjoy an introduction day at AW’s Nottingham site. They were able to meet each other, talk to last year’s apprentices and were introduced to the company’s ethos and philosophies by Managing Director Andrew Walsh. 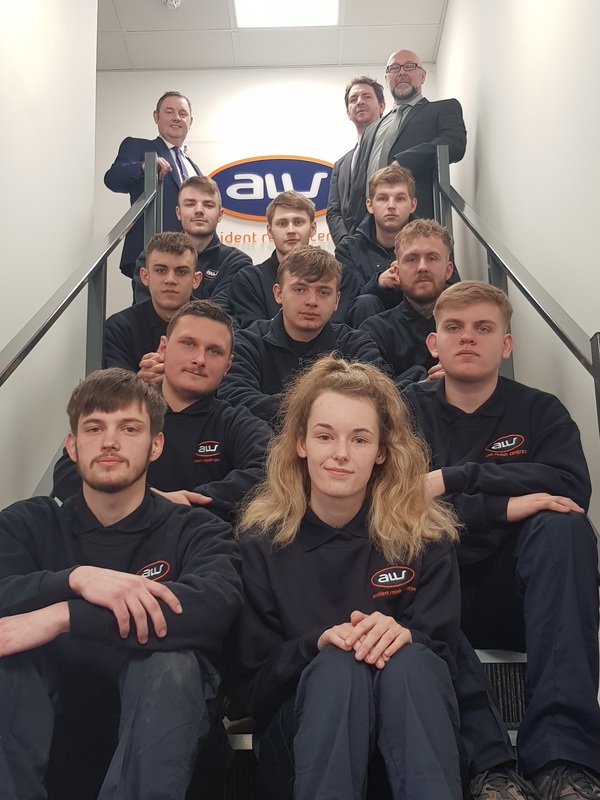 Jake, Artur, Summer, Thomas, Jamie, Bradleigh, Hegert, Owen, Declan and Jacob will be working across the group’s 8 sites and follow on from the 2018 apprentice intake boosting AW’s Training and Apprenticeship Academy to 19 recruits. The young people each received their corporate blue and orange uniform, personnel handbook and electronic tablet, AW branded satchel, plus the added bonus of tooling vouchers to get their beginner toolbox started. The 18-20 year olds will be completing their multi-skilled apprenticeship at Emtec College, Nottingham, where they will have their own independent AW class, learning the disciplines of panel, paint and MET. The three-year course incorporates six 1-week training block release classes per year where the apprentices will learn elements of MET (Mechanical, Electrical & Trim) initially, followed by panel and finally paint. “We invest in our apprentices and provide them with all the support they need to make it work and we are really looking forward to watching their careers progress and grow with AW and taking forward all the opportunities that arise,” added Andrew. 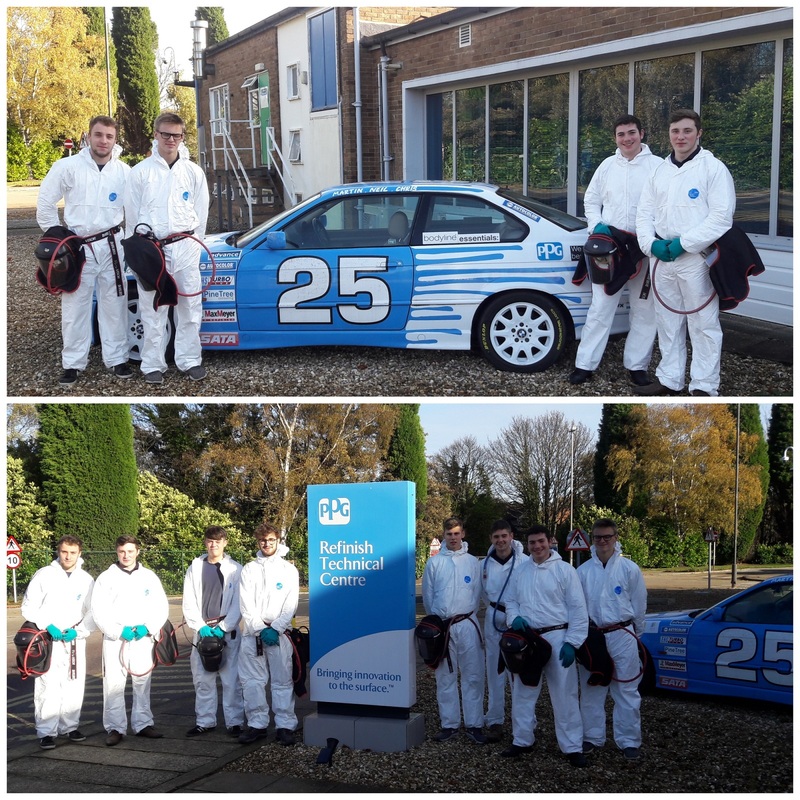 In November eight of our current apprentices who are following the multi-skilled apprenticeship route attended PPG training centre in Stowmarket for a two-day hands-on paint experience. Our apprentices who range from 17-20 all found the day thoroughly enjoyable and all had great feedback from their experience. 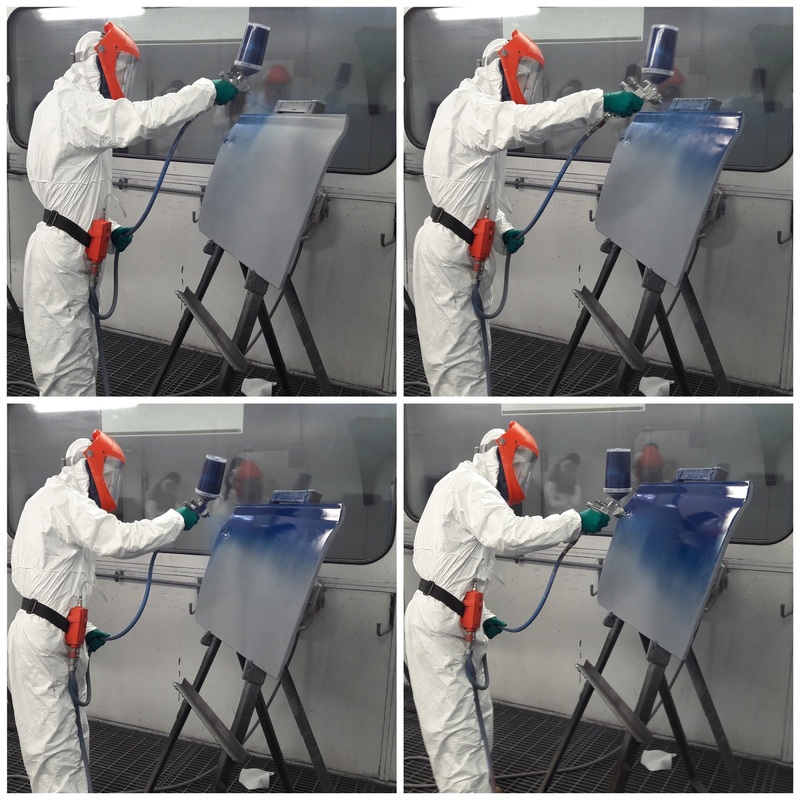 “The day at PPG was great, we were allowed to manipulate the paint process by applying too much and not enough which really helped us see how to do it properly” said Charlie, year two apprentice at AW Nottingham. The PPG technical team moved through topics such as how is paint made and the PPG Core Product list to help our apprentices understand the background and why certain processes are in place. Plenty of practicals took place over the two days including; sanding of panels and understanding the correct application of filler to ease the primer application, preparation of panels for the application of Basecoat and Clearcoat, masking and blending techniques and the hardest of them all, three stage pearl application. A huge thank you to PPG for hosting our apprentices over those 2 days. We are pleased to announce our partnership with Ben, the independent charity which is dedicated to providing life-changing care and support services to the people working in the automotive industry. Not only can this support you, but your family dependents also. Ben provides information, advice, guidance and managed referrals (where appropriate) to their partner organisations which include debt advisors and mental health charities. Funding may also be provided for counselling, home adaptions or short breaks for families dealing with life-limiting or terminal illness and immediate help for those in crisis. 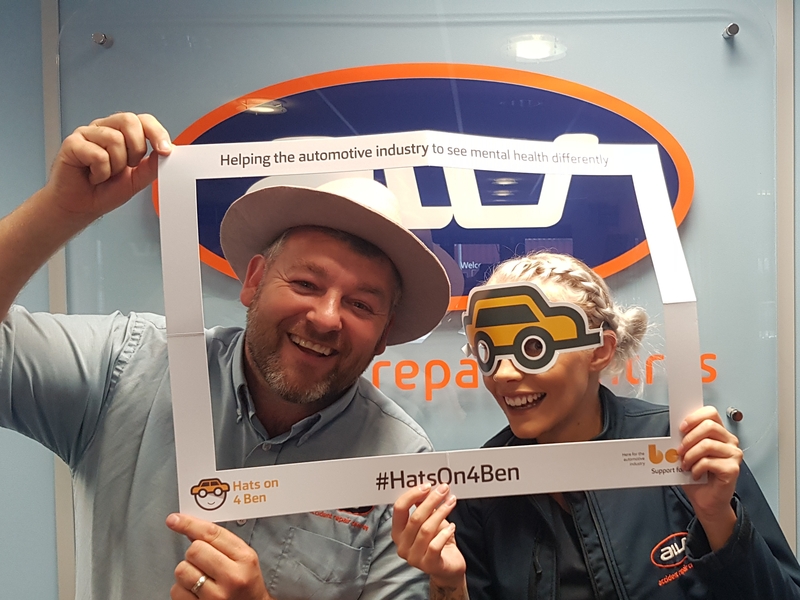 Ben is a not-for-profit organisation that partners with the automotive industry to provide support for life to its people and their family dependents. The charity focus on the four main pillars of peoples’ health and wellbeing: financial, physical, mental and social. Everyone who currently works or has in the past worked in the automotive industry can access their confidential, free support services for themselves and their family dependents. Their depth of knowledge and holistic approach helps protect the automotive industry’s most valuable asset – its people. Most recently we supported ‘HatsOn4Ben’ where we put on some fancy hats to raise the profile of the charity. AW Repair Group has released a dynamic video of highlights from their recent Apprentice Showcase. The company welcomed more than 100 people who enjoyed a fully immersive and hands on experience of a modern high tech bodyshop. Hopeful apprentices, including four young women, tried their hand at paint spraying, filler application, virtual welding, spot welding and sanding. The showcase, supported by AutoRaise, BEN, LV=GI, Emtec College and numerous supply partners, was held at the group’s latest site in Derby with some keen youngsters travelling from the furthest site in Sleaford, Lincolnshire. Added James Dunn, Group Operations Manager: “Hopefuls had pre-registered for either the morning or afternoon session and rotated through the demonstrations and experiences but by lunchtime they were so enthused by what was on offer the morning attendees wanted to stay for longer! 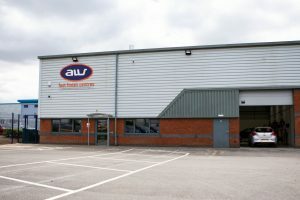 AW Repair Group is delighted to announce the opening of site number eight in an exclusive arrangement with LV= General Insurance (LV= GI), taking the company’s annualised turnover to £17m. The 12,000sq ft facility is located in Derby on the Ascot Business Park adjacent to the group’s recently opened Derby Fast Finish Centre. 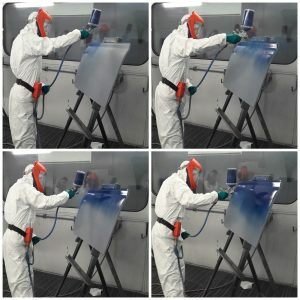 The site, formerly occupied by an electronics company, has been refurbished & branded to create a state of the art environment with efficiency at its heart including another 10m drive-through Junair booth with skate and rail system, QADs and full downdraught to eliminate cross contamination when painting multiple vehicles using PPG refinishing system. Manager of the site Wayne Oakes has worked for AW Repair Group for over 7 years in three previous sites in procurement, as a production manager and previously as a VDA – where he worked under James Dunn who is now AW’s Group Operations Manager. The Derby site is also equipped with Car-O-Liner jig and Car-O-Tronic measuring system, mid-riser lifts, Nitrogen plastic welding, PowerTec Miracle Pull system, 12 module integral Minden dust extraction with three phase, eco-friendly radiant heating and 1000 LUX LED lighting throughout. AW would like to thank everyone involved and to the dedicated team of usual contractors who brought the project in on time once again. Monday (6th August) marked the opening of AW Repair Group’s second Fast Finish Centre. 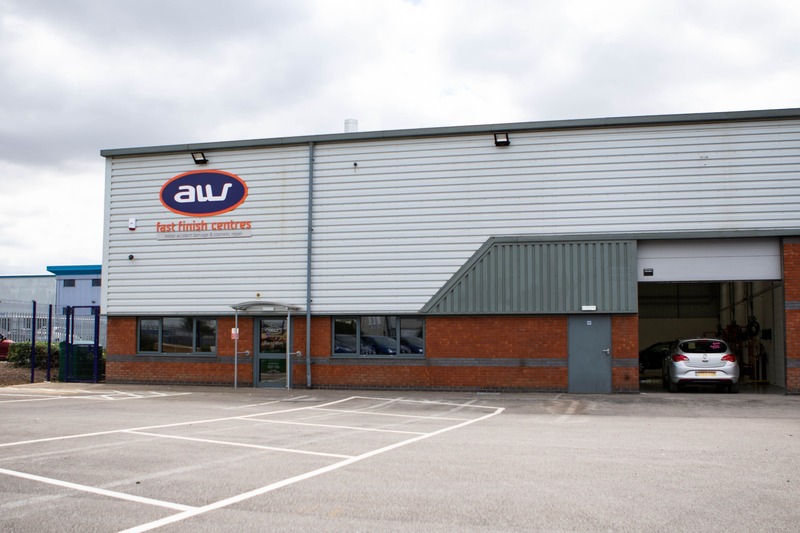 AW Fast Finish Centres (Derby) is a state of the art repair centre specialising in triaged small to medium repairs and cosmetic damage supported by the group’s accident repair centres in the area. The 6,000 sq ft advanced bodyshop is located on Longbridge Lane, Ascot Business Park, Derby, two miles from the City Centre and less than one mile from Pride Park. Along with other rapid repair processes and multi skilled technicians working as a team the Fast Finish Centre will provide the fastest possible cycle time for minor damage triaged by AW’s Central First Response team. Other facilities include a dedicated area for alloy wheel repair with Wheel Blast Unit and Wheel Lathe, Nitrogen Plastic welding technology, PowerTec Miracle Pull Repair Systems, PPG low energy Compact system, integral Minden Dust Extraction, mid-riser lifts, 1,000Lux LED lighting and radiant heating providing a quality working environment. The site will also employ an onsite VDA and Customer Liaison Advisor. AW Repair Group was last month listed in the London Stock Exchange 2018 directory of 1,000 companies to Inspire Britain and its Nottingham site has been shortlisted in the final three of Bodyshop Magazine’s Medium Bodyshop of the Year.